I have to admit that I'm not the biggest Avon fan. I know Avon has a cult following but their make-up just hadn't convinced me but I decided to try out the new Astonishing Lengths Mascara anyway. I have very short straight lashes so I'm constantly in the search for THE PERFECT mascara. I have yet to find one, and unfortunately this mascara is no where near it. It barely made a difference even after I put coats and coats of it on. 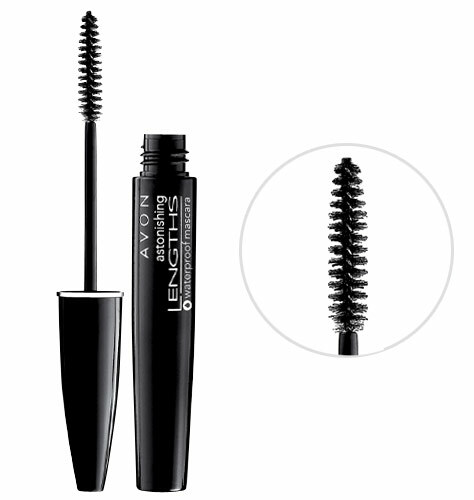 (Although I will say it didn't clump on me even with globs of it on, which I guess is one positive thing) But this is definitely not a one coat and you're done mascara unless you have thick super long lashes-in which case, I hate you. :) I also disliked the wand immensely. It was very stiff and at times hurt my lashes.